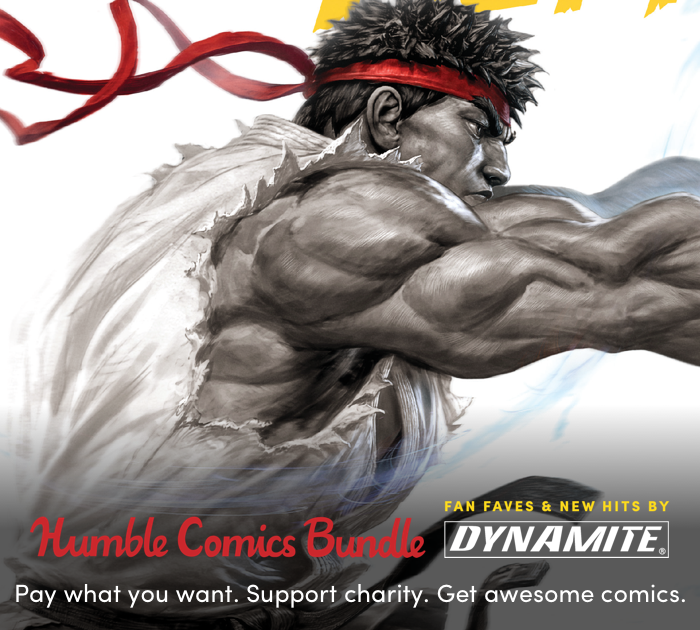 As a part of their ongoing 15th anniversary celebrations for 2019, Dynamite has partnered with Humble Bundle to offer fans unbeatable deals on classic tales both new and old. Not only are these deals crazy good, but proceeds from the promotion will be contributed to the Comic Book Legal Defense Fund. CBLDF is a non-profit charity with a mission of protecting creators, publishers and more in the comics medium when their rights are threatened. Humble Bundle’s “Pay What You Want” structure allows readers to scale their purchase to their budget or their desired contribution to the charity. Multiple tiers offer the chance for up to 330+ issues – adding up to almost 10,000 pages!! Plus deluxe art books and other goodies. Normally all these amazing titles could cost readers over $2,750! Excitingy, the bundle also offers fans a preview of the just around the corner releases of RED SONJA #1 from Mark Russell & Mirko Colak and ARMY OF DARKNESS / BUBBA HO-TEP from Scott Duvall & Vincenzo Federici. Comics included in this bundle feature the absolute greatest writers and artists of this modern era of comic books. The endless list of top tier talents includes Alan Moore, Neil Gaiman, Grant Morrison, Kevin Smith, Mark Millar, Robert Kirkman, Alex Ross, Rick Remender, Gail Simone, Warren Ellis, Mark Waid, Garth Ennis, J. Michael Straczynski, Greg Pak, Kurt Busiek, Jim Starlin, Kelly Thompson and SO MANY MORE! Get it now or check out the available tiers below. Pay what you want. Altogether, these comics would cost $278. Here at Humble Bundle, you choose the price and increase your contribution to upgrade your bundle! This bundle has a minimum $1 purchase. Support charity. Choose where the money goes – between the publishers, IDW Publishing and the charities, the Comic Book Legal Defense Fund and Traveling Stories via the PayPal Giving Fund. If you like what we do, you can leave us a Humble Tip too!